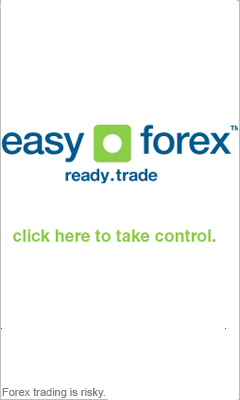 Forex trade training is crucial for beginners. You will find many schools both on and offline that are designed to help you acquire the knowledge, skills, and abilities to become a very successful trader in the forex market. You will probably realize you are a successful trader and that you have done enough preparing for forex trade when you are able to do 3 things: Make pips, Keep pips, and Repeat. The Forex market is the largest financial market on earth, with a volume of over 4 trillion US dollars a day. It is therefore clear that you must first learn the basics before developing a trading plan. If you compare the forex market to the 25 billion US dollars a day volume, to that the New York Stock Exchange trades, it is easier to put the enormity of the foreign exchange into perspective. Remember that when you are preparing and training for forex trading, that the forex market equates to more than 3 times the total of the futures and stocks markets combined! The first thing you need to know when planning a forex trading plan and training forex is: what is traded on the Foreign Exchange market? The simple answer is of course MONEY. Forex trading is the simultaneous selling of one currency and the buying of another. Foreign currencies are traded through a dealer or broker, and are always traded in pairs. For instance, the US dollar and the euro (USD/EUR) or the Japanese Yen and the British pound (JPY/GBP). Since you are not actually buying anything physical, this kind of trading can be quite confusing, especially while you are preparing and training for forex trading. It may help to think of buying a foreign currency as almost like buying a share in a particular country. When you buy, say, South African Rand, you are in effect buying a share in the South African economy, as the price of the South African currency is a complete reflection of what the market currently thinks about the South African economy's current and future health. People undergoing forex training might not know that the forex spot market has, unlike other markets, neither a central exchange nor a physical location. While preparing for forex trade, you will learn that the Forex market is considered an Over-the-Counter market, due to the fact that the entire forex market is continuously run in an electronical fashion, within a bank network, over a 24-hour period. The good news for people who find themselves training forex, is that only big guys with millions could play this market up to recently. The rise of the Internet, however is allowing everyone who wants to develop a forex trading plan to open trading accounts at online forex trading firms. Just make sure to keep up the forex trade training before playing with large sums of money. Forex training can make all the difference between succeeding or failing in the forex game.